Forget about Candy Crush or Bejeweled. 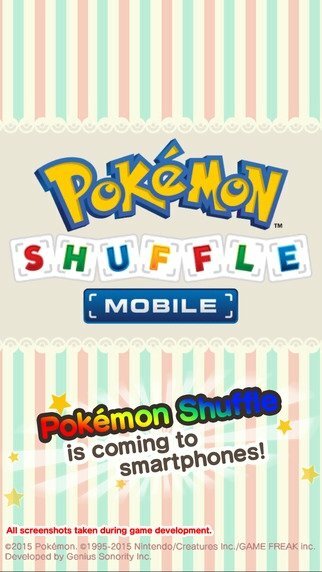 Match 3 games for iPhone and iPad now have a new king with Pokémon Shuffle Mobile, now that the classic Nintendo 3DS game has finally arrived on iOS devices. 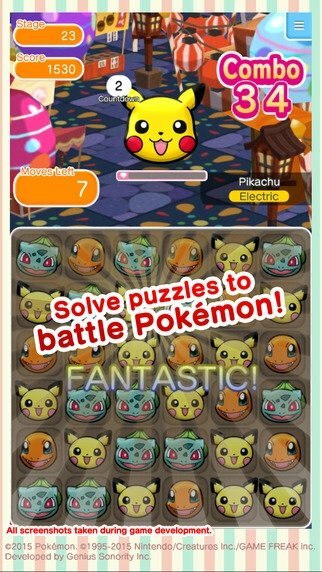 Solve puzzles to fight against other Pokémons. Just like in all the games of the genre, you have to join 3 or more identical elements vertically or horizontally, in the case Pokémons, to clear them off the screen and launch attacks against other Pokémons. The more combos you do, the greater power of destruction your attacks will have. Join three or more identical Pokémons to start an attack. Carry out combos to inflict more damage on your enemy. Collect other Pokémons to add them to your collection. Make your creatures evolve to achieve greater effects. 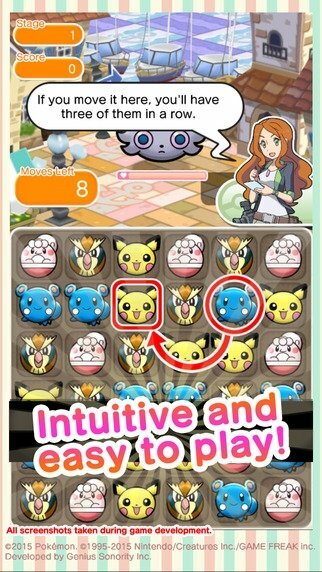 For the time being we're not aware of any codes, tricks or hacks for Pokémon Shuffle Mobile, so you're going to have to cope with your skill and dexterity to complete this puzzle game for iOS.